Beard Balm vs Wax: Which One Should You Be Using? Should You Use Beard Balm and Wax Separately or Together? Is That Really All the Choices You Have For Beard Maintenance? Understand The Difference Between A Beard Balm vs Wax? Understanding the difference between beard balm vs wax can be a bit confusing at first. For instance when you first look at a can of beard balm, one of the ingredients listed there is beeswax – the same ingredient that is of course found in beard wax. Are they both the same product? 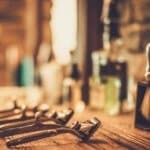 At what point should you use a beard balm vs beard wax? Does one have any sort of benefits over the other? 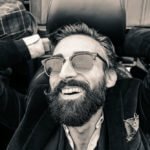 Well here is just about everything you ever wanted to know (and then some) about the two products and how they exactly fit into your beard care routine. Beard balm is great in that it typically contains 4 core ingredients. First off you have the carrier oil. Carrier oil if you aren’t aware is the ingredient that gives you many of the health benefits of this balm. 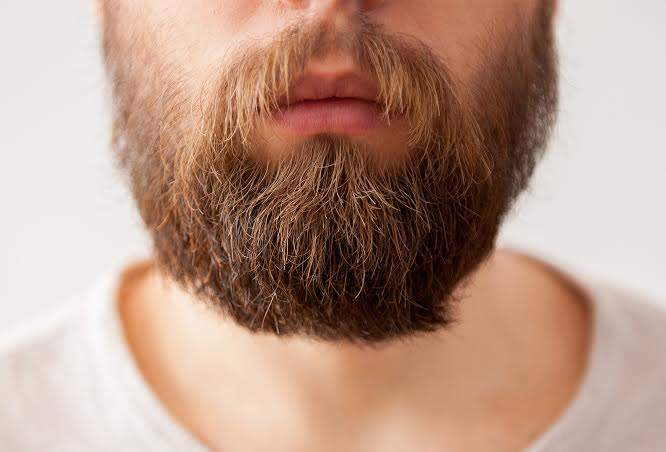 Carrier oils like jojoba or argan, are responsible for making your beard super soft, and of course give a natural healthy over all look to that mane of yours. Not only that, but carrier oils are a great way to cure beardruff (dandruff for your beard). If its your first ever time using a beard balm, its always best to make sure that you use one that has a carrier oil like jojoba or argan oil. These oils are closest to the natural sebum oil that your skin produces on a regular basis. Therefore when applied, there is a very small chance of any sort of allergic reaction. In addition to being so non-abrasive of an oil, its also really likely to not cause any sort of uptick in acne since its just so close to the natural sebum oil. However, if you don’t have very sensitive skin, fear not, try different beard balms with alternative carrier oils (sweet almond, etc). The second part of a beard balm is the essential oil. Essential oils are what gives any beard balm the majority of its scent. Think of essential oils as the natural cologne for your beard (yes essential oils are usually derived from plants or roots and are 100% all natural). The one draw back to essential oil generally is that they can be a bit harsh on the skin. Even if you do have pretty thick skin, if there was too much in the beard balm you are using, it may cause some tenderness – again always make sure you patch test for allergies before you apply to your whole face. The third crucial ingredient to beard balm is butter. But not your typical Land O’ Lakes butter, no! Instead in beard balm, the butter is typically a shea or cocoa butter. This helps with the actual spreadability of the balm in its final form. There are a few added skin benefits to butters like shea or cocoa in that it helps moisturize the skin underneath your beard – further helping to reduce beardruff. Last but not least is the beeswax! 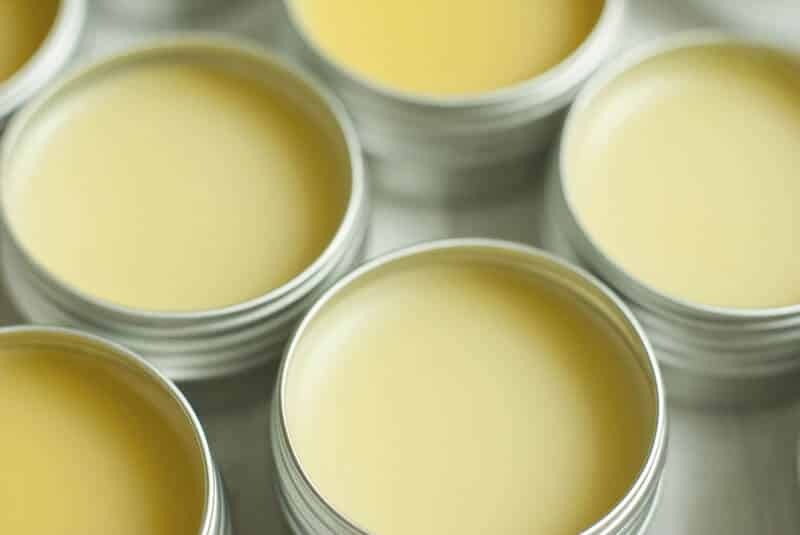 Beeswax within beard balm serves its purpose to give your beard very slight styling properties. So if you have a shorter beard (shorter than 4″), just a small amount of beard balm will have enough hold in it for your beard. But if you are looking to enter the World Beard & Mustache Championship, a beard balm (even if it contains beeswax) won’t give you that type of hold to make killer beards like this. When comparing a beard balm vs a beard wax, we saw that a beard balm contains essentially 4 core ingredients: carrier oil, essential oil, butter, and beeswax. 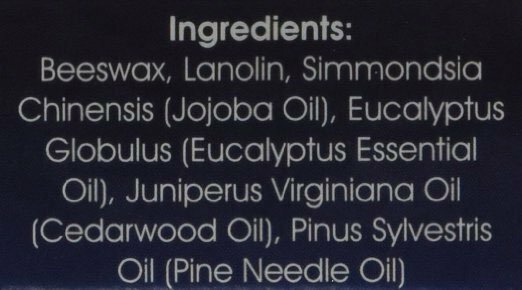 A stellar beard wax also contains many of the same ingredients found in beard balm actually! However, things change quite a bit for the ratios of the ingredients involved. 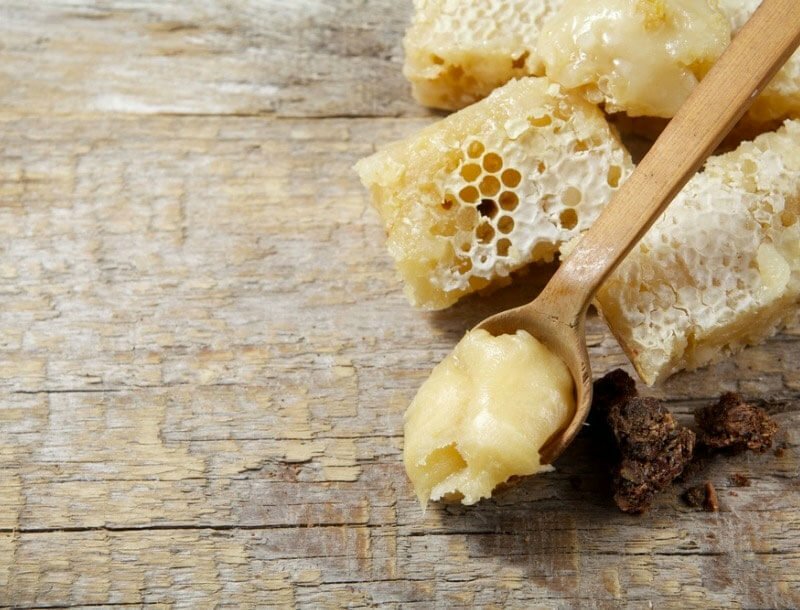 As you would probably guess, beard wax has a much higher concentration of beeswax than it does any of the other ingredients. As you can see in the picture above, shea butter is absent from the ingredient list. You will notice though the addition of lanolin to the list. If you are unsure of what lanolin is (I shamefully have to admit that I had to google it as well), is waxy substance that is derived from a sheep’s wool – who knew?! As you could infer – its another holding agent just like beeswax. Both beard balms and waxes have their own distinct purposes. While we can see above that beard wax has 3 of the 4 same ingredients as any beard balm, which one really makes sense for you? If you are looking to have a healthy looking beard that is also soft, you need to go with a beard balm. 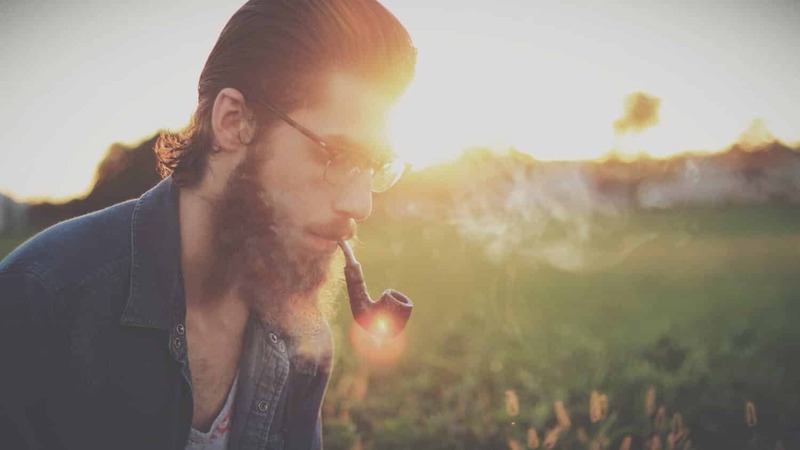 Beard balm is all about the conditioning of your beard and less about the style. But remember it still does have wax in it, so there is a bit of styling that is available when you apply it to your beard. 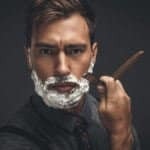 As we discovered beard wax does have some great nutrients in the form of carrier oils within the mixture itself, however, its not a replacement for a decent beard balm. You can’t skip beard balm and head straight for the beard wax. If you are really going for styling of your beard, then you need to first apply some beard balm, then apply beard wax. You shouldn’t do one without the other as there simply isn’t enough carrier oils contained within the beard wax itself to ensure that your beard remains soft, healthy, and most importantly beardruff free. If you don’t care at all about making your beard ridiculously styled. Then skip the beard wax and just pick up a beard balm. No point in wasting your money on beard wax. You see beard balm is actually pretty easy to apply. However, there are guys that might start off doing bad habits by using too little or too much. First off you are going to want to scoop out about a thumbnail sized amount out of the tin if you have a smaller beard (less than a couple of inches). Simply take the scooped out portion and place it into the palm of your hand. Then put away the beard balm or wax, and begin to rub your hands together (many guys get this part wrong). Once it is fully melted, you want to start off by rubbing the liquid remnants of the balm or wax into your beard, starting off first with the base or root of your beard follicle and then gradually make it towards the tip of your beard. Alright so your beard is about 90% there, the last and final step you need to do is to actually comb (or brush it). Do you know the difference between combing or brushing your beard though? If you are looking for a even distribution of the beard balm or wax within your beard, you need to use a brush. Not just any sort of brush though, a boar hair bristle brush. A boar hair bristle brush is great for trapping the oils in your beard and spreading appropriately. But using a boar hair bristle brush doesn’t stop there, it’s also great for giving a much fuller or natural look to your beard, especially if yours is a bit on the patchier side. 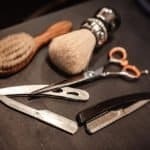 However, if you are really looking to give your beard a nice shape or style, then you want to use a top rated beard comb that won’t destroy your beard. Using a comb gives you much more control and allows you to style your beard to your choosing. Of course some guys are into using both a brush (to evenly distribute the oil), and a comb to give your beard a bit of style. The choice of course is definitely up to you! 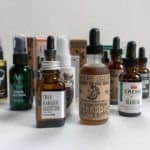 In fact, if this is your first foray into the beard world and maintaining it properly, its important that you also understand the beauty of beard oil. Beard oil is very much like beard balm sans the beeswax and butter. Therefore its just made up of two core ingredients, carrier and essential oils. There are a top rated beard oils out there to choose from of which can be a bit daunting. 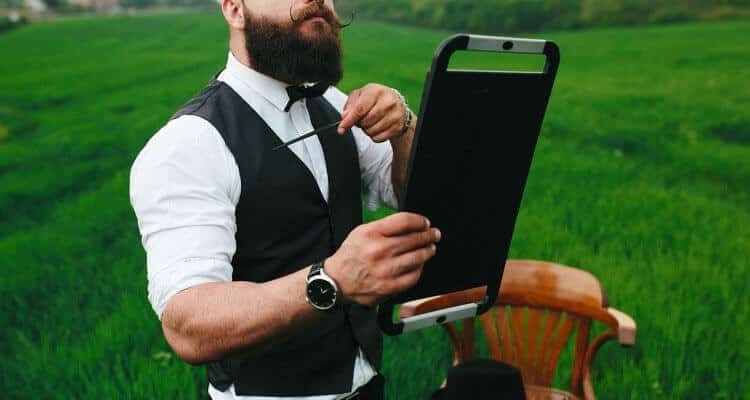 In a earlier post I do outline some of the very best beard oils on the market to help save you a bit of time if you plan to go down this route instead of deciding between a beard balm vs wax. But if you are looking for beard products to style your beard, even the most expensive beard oils can’t help you there. Since there is no holding agent like beeswax or lanolin, your beard will simply feel soft and look healthy. This makes beard oil especially great for men with a much shorter beard that doesn’t need that much in styling or shaping needs. 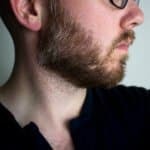 As with every article, I hope that this help clarifies a few questions within the beard maintenance world. It gets a little hairy out there trying to decide which product might actually fit your needs and which ones are just fluff. However of course, if you felt that anything was unclear or are still wondering anything related to beard balms or oils, drop a line in the comment section below – I am sure other guys probably have the same question as you! I’ll try my best to answer it! Until the – beard on!